Africa has played a decisive role in the formation of Christian culture from its infancy. 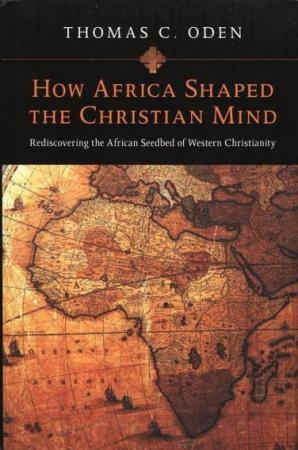 Some of the most decisive intellectual achievements of Christianity were explored and understood in Africa before they were in Europe. If this is so, why is Christianity so often perceived in Africa as a Western colonial import? How can Christians in Northern and sub-Saharan Africa, indeed, how can Christians throughout the world, rediscover and learn from this ancient heritage? Theologian Thomas C. Oden offers a portrait that challenges prevailing notions of the intellectual development of Christianity from its early roots to its modern expressions. The pattern, he suggests, is not from north to south from Europe to Africa, but the other way around. He then makes an impassioned plea to uncover the hard data and study in depth the vital role that early African Christians played in developing the modern university, maturing Christian exegesis of Scripture, shaping early Christian dogma, modeling conciliar patterns of ecumenical decision-making, stimulating early monasticism, developing Neoplatonism, and refining rhetorical and dialectical skills.